Cayenne pepper is a potent weight loss aid that can help curb your appetite, heat up your metabolism, and even help burn extra fat. With these significant benefits, it should be no surprise that cayenne is an integral part of popular weight loss plans like the Master Cleanse. Cayenne peppers can be grown at home or purchased at almost any grocery store. If you are looking for a safe, reliable strategy to fortify your efforts to support a healthy body weight, cayenne is an option you should consider. A sluggish metabolism could be what’s preventing you from shedding extra pounds. If you want a natural way to speed up your body’s metabolic processes, cayenne may be just what you need. When added to a high-fat diet, cayenne increases diet-induced thermogenesis, which means your body uses more energy to break down the food you’re eating, helping you burn a few extra calories. Metabolic improvements from consuming capsaicin-rich foods, like cayenne, can start almost immediately and may last up to 30 minutes after a meal. It might not surprise you that cayenne supports a normal body weight, but how it accomplishes this feat is astonishing. The same compound in cayenne that burns your taste buds may help soothe your gut. This connection is critical as researchers find mounting evidence that suggests a link between your gut health and your weight. One animal study suggests that an unhealthy gut microbiota contributes to an unhealthy weight. Capsaicin may help rebalance the gut by reducing some forms of systemic irritation that are common in overweight individuals. For sustained weight loss, you must have a properly functioning digestive system. Cayenne is packed full of beneficial vitamins and nutrients, including some B vitamins that your digestive system needs to work properly. Additionally, cayenne can help stimulate saliva production in your mouth and along your gastrointestinal tract. Saliva is among the first steps of healthy digestion and helps break down the food you eat. If you are looking to add cayenne to your weight loss plan, there are several ways to do it. One option is adding it to your meals. Dried and crushed cayenne pepper is readily available in almost any grocery store. It’s a quick and straightforward way to turn up the heat on your go-to recipes. Try sprinkling some on your eggs at breakfast, or on your soup or salad at dinner time. Some dieters also love adding it to their water with a squeeze of lemon. If you don’t like the taste or heat that cayenne adds to your food, then encapsulated cayenne pepper might be your best option. There are some advantages to taking cayenne in a pill, tablet, or capsule. For starters, you get a more accurate and consistent measurement of your intake. Cayenne supplements typically include capsaicin content and Scoville heat unit measurements. Unlike their cooking counterpart, this provides a measured, concentrated serving. Cayenne supplements also give you more flexibility during the day when eating cayenne might not be as appealing or convenient, such as in the early morning or late evening. Cayenne is one of the world’s most loved spices, there are countless options and varieties to choose from. This abundance of choice can make selecting the right cayenne challenging for some. However, when you follow these three simple guidelines, picking the right cayenne for weight loss will be a breeze. How the peppers start out matters. Selecting a GMO-free, organic cayenne pepper is a must. Large industrial farms usually spray their commercial peppers with agricultural chemicals and pesticides. It’s practically impossible to wash these pollutants from the plants, and these toxic compounds can cause unintended health concerns for your endocrine system and gut. The Scoville scale is a measuring system used to indicate the hotness of any given pepper. The scale is also a good reference for the ratio of capsaicin contained in a cayenne supplement. The higher the number of Scoville heat units (SHU), the more capsaicin that is present. Capsaicin is what causes something to be hot to the taste, but is also the reason for many of cayenne’s health benefits. Where you buy your cayenne can make a big difference in quality. There are many factors and variables that can affect how the cayenne pepper is grown, harvested, dried, and packaged. If the farmer or supplier cuts corners, then the final product suffers. Only buy your cayenne, and other supplements, from a trusted brand that aligns with your values and health goals. 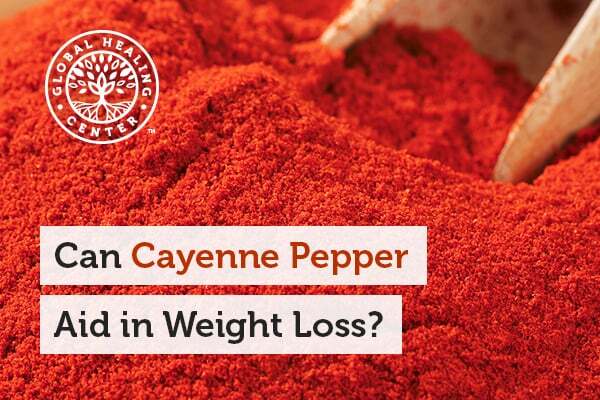 Have you used cayenne to help lose weight? What was your experience? Leave a comment below and share your insight. The post Can Cayenne Pepper Aid in Weight Loss? appeared first on Dr. Group's Healthy Living Articles. 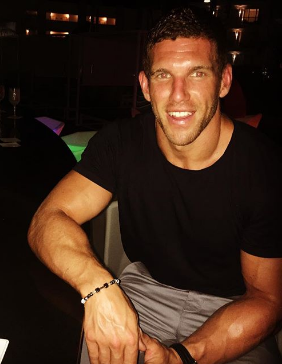 Hello everyone I am Robert living in Tucker, GA 28 years old. Reading about nutrition and sharing nutrition related tips is my hobby. I try to post tips about healty eating and exercises on my blog to help people.